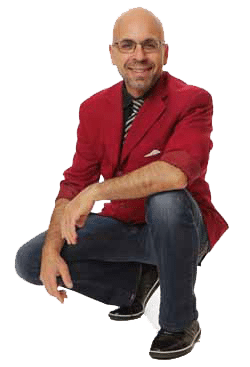 Thank you for your request regarding my fun magic shows. I specialize in entertainment for child and family events and will help make it an event your children will never forget! 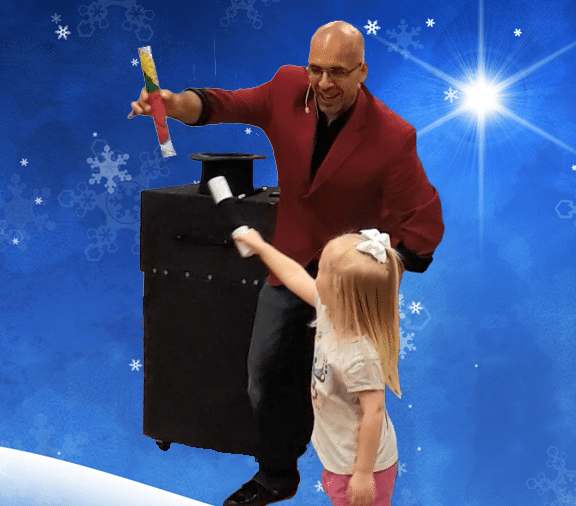 When my Winter Wonderland Magic Show visits your center, you’ll discover a program that’s perfect for an in-house field trip. 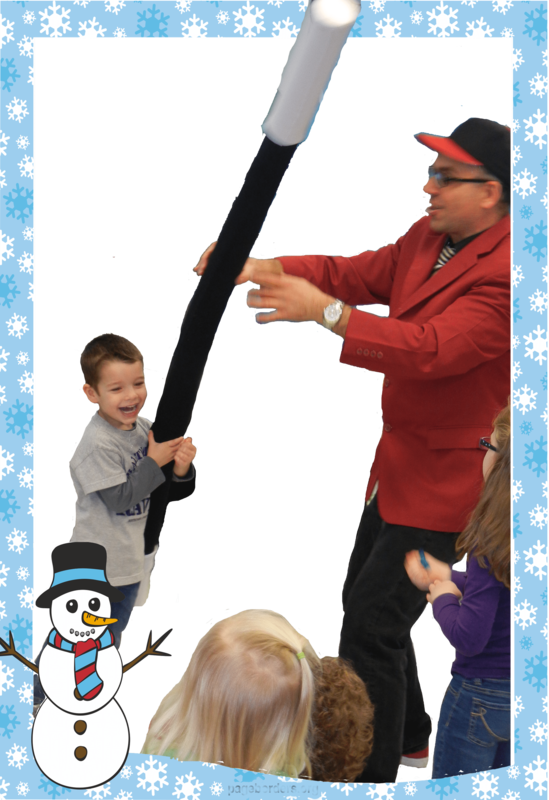 Kids love to experience the magic of the winter season and the show is themed around an all time kid’s favorite, Frosty the Snowman, combined with truly fun, bright, colorful magic. The winter wonderland show is highly interactive, for example several children will join onstage in a fun game of “Find Frosty” where every child is a winner! Anticipation builds throughout the show until the end when the children see the appearance of a “Snowball”, a real live bunny rabbit! And just when they thought the show was over, as the grand finale, a giant inflatable frosty magically appears from an empty box. The children enjoyed your performance – many recalled their most favorite portions… parents are amazed you pleased their little ones. We will definitely be seeing you in the future! We enjoyed the entire show. We loved the way the children were able to participate. The children had such a great time, so much laughter!! Tons of Audience Participation – Getting everyone involved and everyone is treated with respect as we have a good time with them. Everyone feels like they belong and are part of the show. Colorful and Visual Magic – for example… a drawing of Frosty the Snowman comes to life and starts talking and singing to the children! Captivating – Kids of all ages are awe-struck from the first minute making every kid feel welcome and comfortable and always looking forward to the next trick! 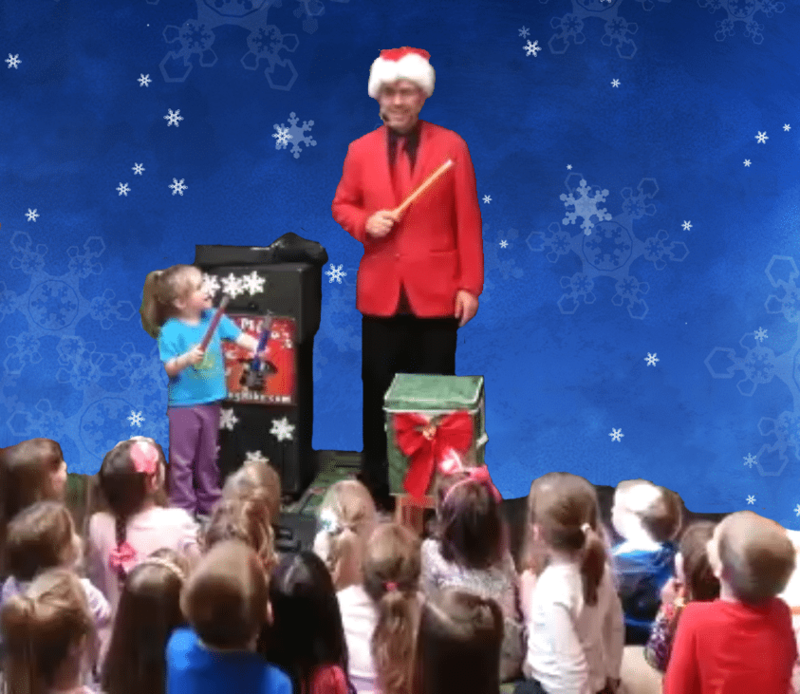 Totally Self-contained Show – A Winter/Frosty decorated stage set to get the kids excited about seeing amazing magic! Complete sound system and microphone allows brings sound effects and music to the show to bring even more wonder and excitement!. A Live Dove “Snowflake” Magically Appears! An Amazing Drawing of Frosty the Snowman That Comes To Life! A Live Bunny Rabbit “Snowball” Magically Appears! 100% Full Money Back Guarantee. If the children are not totally delighted with the show, you won’t pay anything. If you book online on or before () you’ll save $25 off the price. I’m making this special offer to you because I understand how important it is to work within a budget and save money and can appreciate wanting to get this taken care of now.